7180 place | Vector illustration in rank M-rank: Creative conceptual vector. Sketch hand drawn set meat at butchers shop recipe illustration, chalk, ink, line art, vector. Creative conceptual vector. 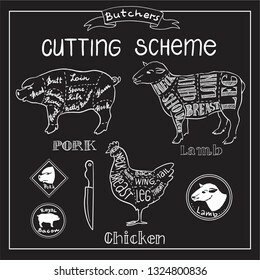 Sketch hand drawn set meat at butchers shop recipe illustration, chalk, ink, line art, vector.